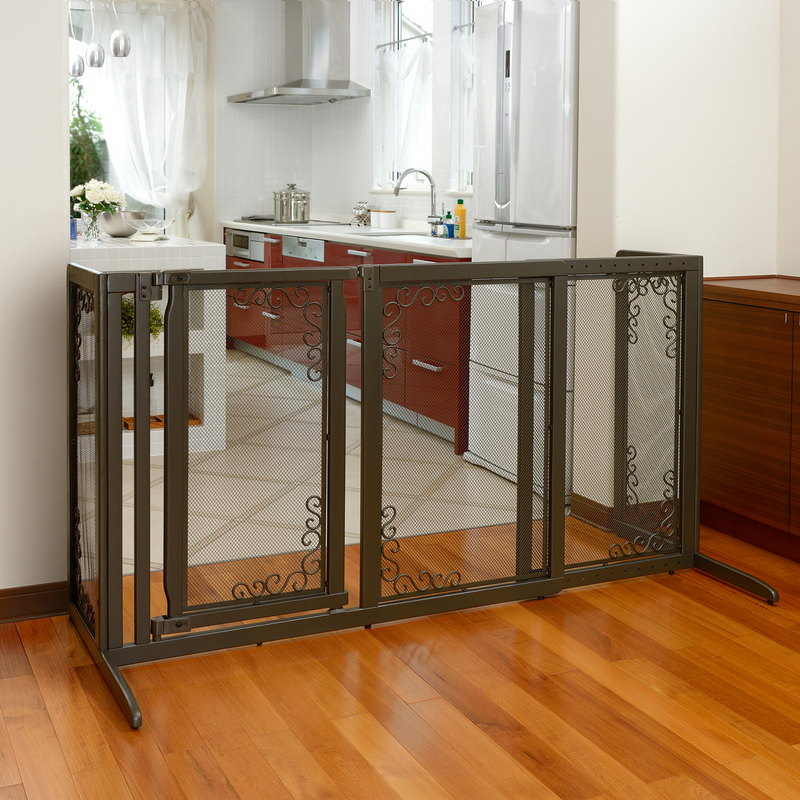 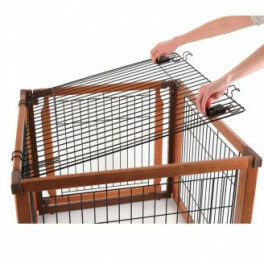 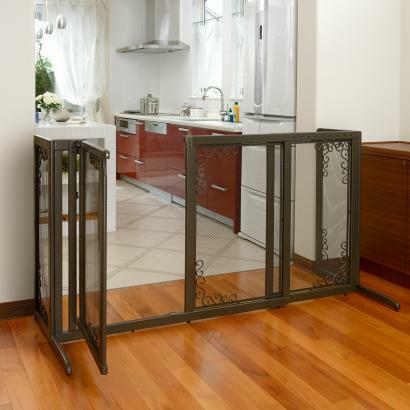 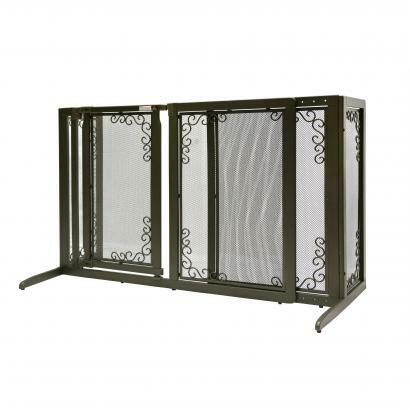 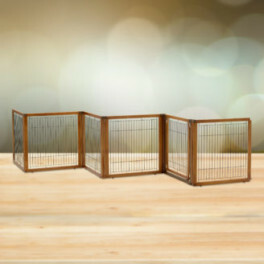 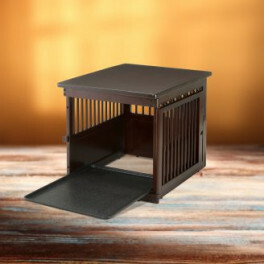 The Wooden Deluxe Freestanding Mesh Pet Gate is finished in a rich bronze color to add a luxurious look to your home! 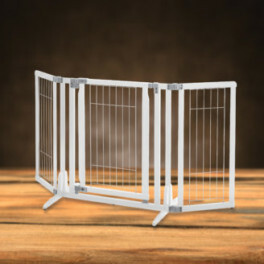 This wooden gate with elaborate metal screen has the same functions as the Deluxe Freestanding. 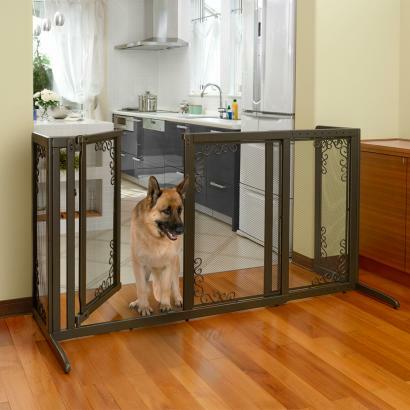 There is a specially designed walk-thru door that opens in both directions and stays open at 90 degrees to allow you to move freely from room to room. 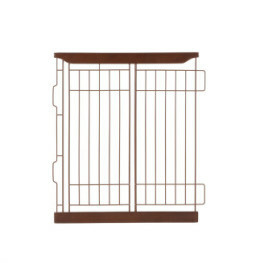 94912 52.2 - 69.1 x 26.1 x 36.2"